Written by two of the field's most respected researchers, Modern Industrial Organization goes beyond the traditional structure-conduct-performance framework by using the latest advances in microeconomic theory, including transaction cost analysis, game theory, contestability, and information economics. 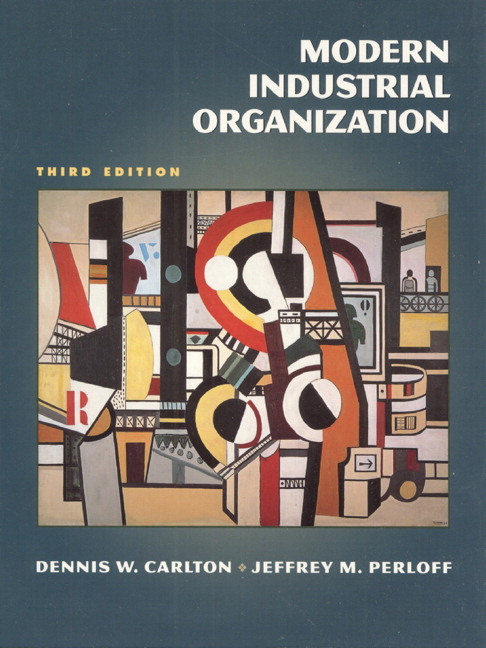 Fully updated to reflect new trends and topics, the Fourth Edition focuses on providing students with a clear, unified structure for analyzing theories and empirical evidence about the organization of firms and industries. In-depth modern coverage provides a thorough background in microeconomic theory. Two-color figures and interior design add to the accessibility and pedagogical effectiveness of the text. Practical examples illustrate the role of individual theories in current policy debates. Designed for flexibility, this text can be tailored for use with different audiences and includes starred sections and technical appendices that can be used to increase the level of difficulty and depth of coverage. 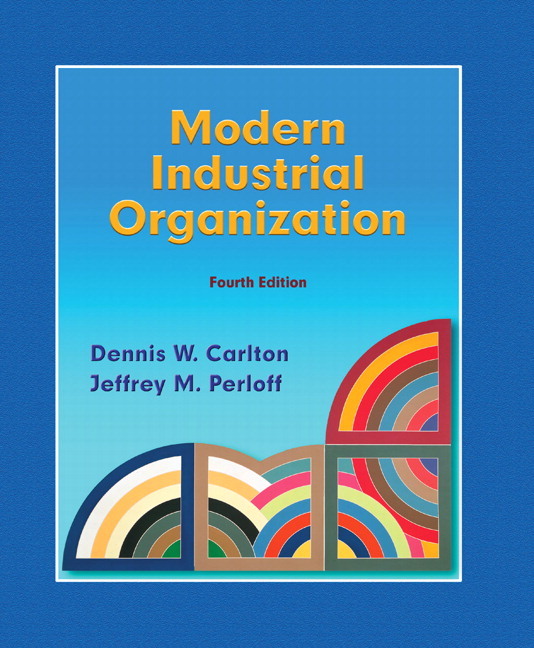 Appropriate for use in two-semester courses, Modern Industrial Organization can easily be used for shorter courses by following the suggested course outlines. Updated "Example" boxes cover timely topics including the conflicts of interest between managers and shareholders, FTC opposition to Internet bans that harm competition, monopoly power by the Catholic Church in hiring priests, China's tobacco monopoly, Canadian drug sales, Blockbuster's pricing, and more. New section on Professor Sutton's groundbreaking theoretical and empirical research into determinants of concentration (why some markets have only a few firms, each with a large market share). Updated Chapter 5 on cartels offers enhanced coverage of international cartels. New material in Chapter 7 on estimating differentiated goods models. 2. The Firm and Costs. 4. Monopolies, Monopsonies, and Dominant Firms. 7. Product Differentiation and Monopolistic Competition. 8. Industry Structure and Performance. III. BUSINESS PRACTICES: STRATEGIES AND CONDUCT. 10. Advanced Topics in Pricing. 12. Vertical Integration and Vertical Restrictions. IV. INFORMATION, ADVERTISING, AND DISCLOSURE. V. DYNAMIC MODELS AND MARKET CLEARING. 15. Decision Making Over Time: Durability. 16. Patents and Technological Change. 17. How Markets Clear: Theory and Facts. VI. GOVERNMENT POLICIES AND THEIR EFFECTS. 19. Antitrust Laws and Policy.